Right now you can get The Little Rascals: The Complete Collection on sale for $9.30 at Amazon.com. That is 87% off the regular price of $69.97! Currently showing as out of stock, but you can place your order now and you will get it for this great price when back in stock. And you won't be charged until it ships! 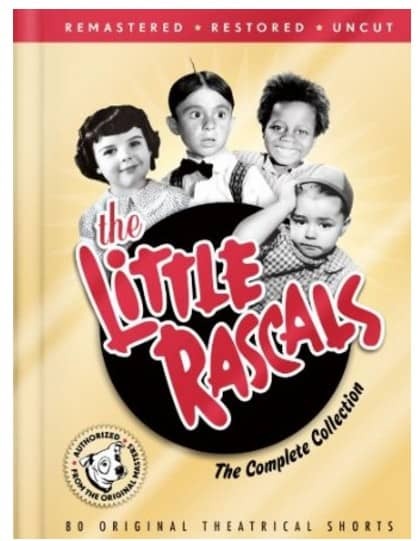 The Little Rascals: The Complete Collection spans the years of 1929-1938. This collections contains all 80 of the original Little Rascals theatrical talkies in their entirety; fully Remastered, Restored and Uncut. This amazing 8-disc set contains a collectible booklet, loads of nostalgic bonus footage, photos and much more! This preeminent collection is a must-have for fans, both old and new.